Western Governors' on June 27, 2017 released the National Forest and Rangeland Management Initiative Special Report, highlighting mechanisms to bring states, federal land managers, private landowners and other stakeholders together to discuss issues and opportunities in forest and rangeland management. In the report, experts and stakeholders from throughout the West share insights on land management practices and identify improvements that will enable western states to develop healthy, resilient landscapes and communities. The latest lesser prairie-chicken survey shows bird population trends remain stable after six years of aerial survey data collection. The survey indicates an estimated breeding population of 33,269 birds this year, up from 24,648 birds counted last year. Though scientists are encouraged by the numbers, they know that year-to-year fluctuations are the norm with upland birds like the lesser prairie-chicken. Lesser-prairie chickens can be found in four ecoregions in five states: Colorado, Kansas, New Mexico, Oklahoma and Texas. Wildlife biologists note prairie chicken numbers regularly fluctuate up and down from year to year due to changes in habitat conditions mainly influenced by weather patterns. The surveys this year indicated apparent population increases in three of the four ecoregions and range-wide, with an apparent decrease estimated in the fourth ecoregion. Thanks to years of neglect, the nation’s once flourishing federal forests have morphed into dense, dead and burned out wastelands. These overgrown, fire-prone thickets are increasingly susceptible to catastrophic wildfire, threatening the lives and livelihoods of countless communities. What’s even more disturbing than the escalating toll placed upon private property, human safety and the environment: it’s all preventable. ALBUQUERQUE, NEW MEXICO – The U.S. 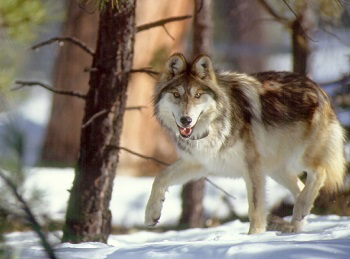 Fish and Wildlife Service has released a draft revision to the Mexican Wolf Recovery Plan. The plan guides Mexican wolf recovery efforts by the bureau and its partners, with the ultimate goal of removing this wolf subspecies from Endangered Species Act (ESA) protections and returning management to the appropriate states and tribes. The Service is now seeking public input and peer review on the draft revised plan through a public comment period and series of public meetings. The comment period will remain open through August 29, 2017.